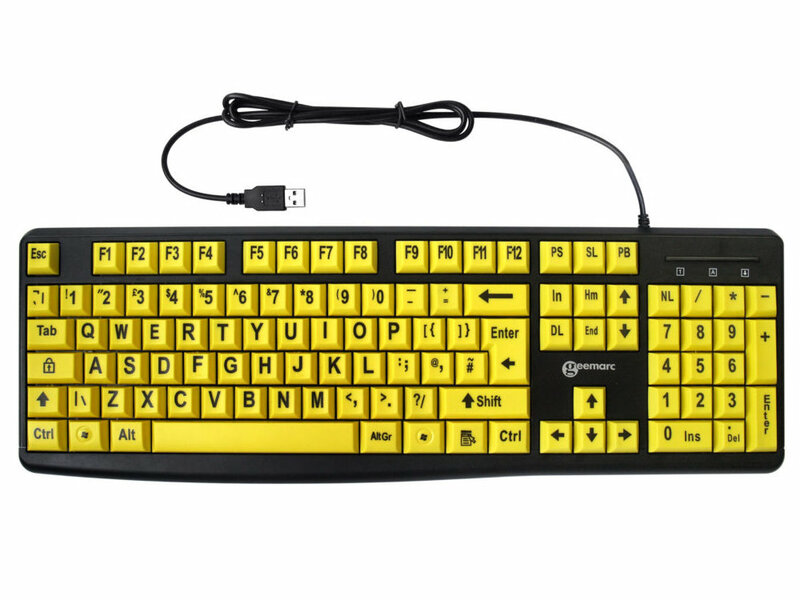 This is a large letter keyboard with yellow keys and large black text, the keyboard offers an ideal solution for those who find using a standard keyboard with small text difficult. This keyboard plugs in to your computer via USB. In the box:- Keyboard, installation instructions and guarantee card.